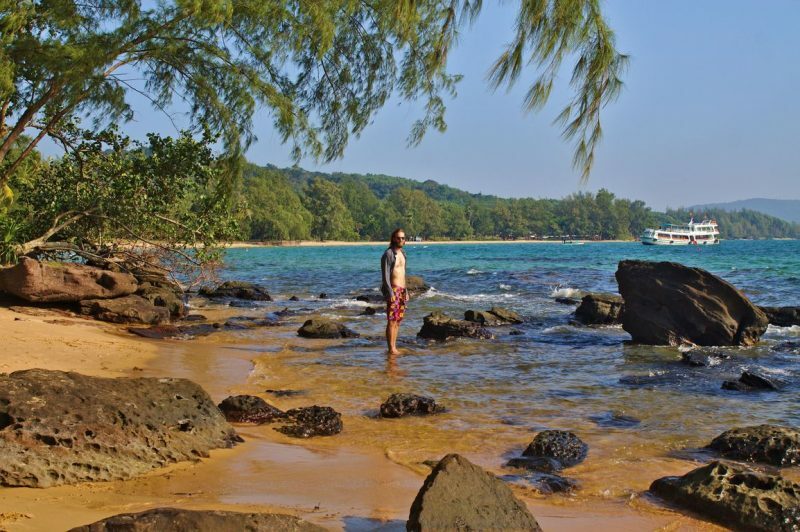 Phú Quốc is Vietnam’s island paradise and just a stone’s throw away from Cambodia’s coast. Being a relatively new destination, it’s still possible to find long stretches of beach completely to yourself. However, times are changing with investors spreading the word about this blissful slice of heaven, luring more and more tourists into their brand new resorts with fenced off beaches, solely exclusive to those who stay there. 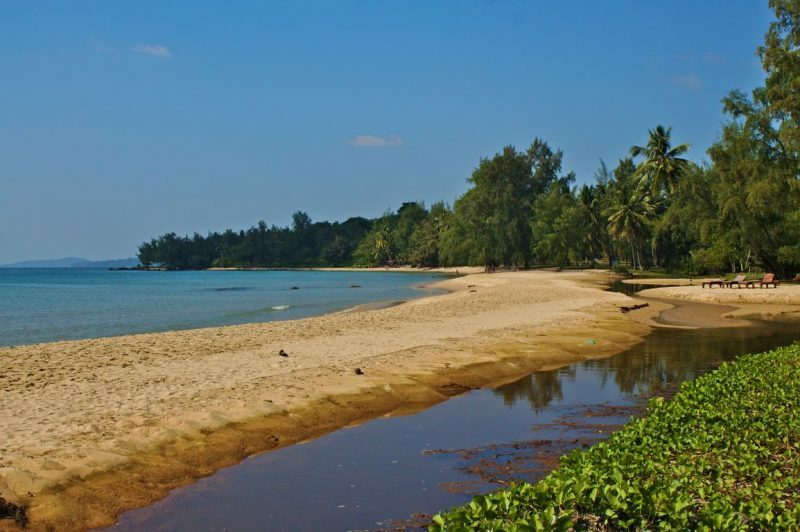 According to the plans of Phú Quốc’s Prime Minister, major investments on the island to accelerate tourism shall be completed by 2020, leading to a standard tourist destination. Knowing that time is running short, considered the fast growing master plan of the government, we took on a challenge to travel Phú Quốc in the least expensive way before it’s too late for it. This guide will give you a quick overview of our overall experience of Phú Quốc and how much it cost us. Our trip started with booking a flight from Saigon with Vietjet. At first sight, flight tickets are very cheap. Vietjet airlines, however, excludes every little fee you can think of. Not only do you pay extra for luggage ($6.17 one-way for 15 kg) but also for everything that should be included in the price already, such as airport tax, airport security and administration fees. When you finally have to pay, you’re charged again: either a “convenience fee” for using credit card or a “process fee” if you choose another method. A full list of their prices is on their website: Vietjet fees. We then bought a coffee on board for ₫20,000, which is actually very reasonable. Flight tickets were charged in US dollars. Our tickets cost $127.82 (₫2,905,000 for a return flight, 2 people – a 1-hour flight). We pre-booked a guesthouse online for Phú Quốc. However, the address of our guesthouse was very unclear. Initially, it seemed like we were staying near the beach but when we checked again, it was actually somewhere in the middle of the island. After all, it’s common in Vietnam for different places to have identical names. Anyway, it explained why the price was reasonable: $14 (₫300,000) for 2 nights. Our place was too far to walk. After our experience in Saigon, we installed the Grab app to get a ride, but there is no service on Phú Quốc. The only mode of transportation here are taxis. Taxi drivers flocked around us pushing us to take a ride but they didn’t want to use their meter. We found two other people to share the ride. They got off before us so we paid a little more than them. The driver wanted ₫250,000 (for about 11 km) and we paid our share: ₫150,000. Upon arrival at our guesthouse, an old man (who didn’t speak English) opened up our room and then just disappeared. We were stuck in the middle of nowhere on this island. No shops nearby, no transportation. We had to call the number in our booking confirmation twice for someone to come over to talk to us. Not the best reception. He initially wanted ₫200,000 for a motorbike with automatic transmission. We took a manual motorbike for ₫100,000 instead. We were a bit skeptical because we never drove a manual before, but it was actually no problem. The gears are hard to reach unless you have very short legs but we had one major advantage: the fuel consumption of this bike was really great. We filled it up for only ₫40,000 and later put another ₫10,000 in to make sure we made it home. We found Hoa Cát Hotel, a much better place, located in the town (Dương Đông). We booked the rest of our stay there. There, we did get AC, a fridge and even free drinking water but our motorbike cost more. Renting a motorbike on Phú Quốc is more expensive than elsewhere. Near the beach, motorbikes can be rented for ₫150,000 for the first day and you can negotiate a better price (₫100,000) for the following days. We decided to rent a motorbike from our guesthouse (the first two nights) for ₫100,000. This was a manual bike. For the following days, we rented a motorbike from our hotel in town for ₫130,000. It was a good-quality bike. Generally, asking price for a motorbike starts at ₫150,000 instead of the regular ₫100,000. We were forced to sign a contract to rent our motorbike in Phú Quốc, which seemed a little shady as there is never any paperwork involved. They claimed “very often, foreigners damage their bike”. We had to promise not to drive like Russians and to have a proper license – which is fine – but one peculiar clause said we have to pay for a new bike when it gets stolen. Since we are familiar with the Vietnamese steal-back scam, we usually parked the scooter where we could keep an eye on it. Unfortunately, the image of foreigners as bad drivers seems to hold true. We have seen many dangerous drivers already – nearly always foreigners. In Phú Quốc, drivers seemed a lot less dangerous than in mainland Vietnam but they seem to be more indifferent to the traffic around them and simply stop their motorbike wherever they feel like – you’ll often come across foreigners just standing still in the middle of the road. But things can be worse: some people manage to stand still in a place without traffic and still somehow crash their bike. Grab (or Uber/GoJack) is not available here. Unfortunately, getting from and to the airport is only possible by taxi (unless you have a pick-up arranged through a hotel, which is unlikely the case for a regular backpacker). Drivers will simply refuse to use their meters and you’ll be charged a toll for leaving the airport (₫20,000). There seem to be many bus stops, but we’ve rarely seen buses driving around. Good luck trying to find a time table. We have seen a few tourists driving bicycles. Bicycles seemed to be in good shape and of relatively good quality. Only a few hotels advertized bicycle rentals but we didn’t inform about the price. Judging by the amount of people walking, it’s probably not for free (unlike in places like Ninh Bình). We were looking forward to getting out of Saigon to escape the excessive food prices. Phú Quốc was the wrong place to be. Prices for food are extremely high here and we have looked around a lot more than in Saigon. We have been hungry a lot and we spent too much money on food until we found the right places to go. There are a few local food stalls scattered around Dương Đông. Sometimes we came across restaurants with normal prices but when they see us, they give us the “English menu” – it’s not only translated, also the prices are different than on the Vietnamese menu. For example: a “phở gà” costs ₫30,000 on the Vietnamese menu but ₫50,000 on the English menu. We skipped these places to avoid any arguments. Steakbox Quang HD, a good fast-food place with low prices. They even have a menu online. Unfortunately, most of the beach of Dương Đông (Bà Kèo) looks like this: stalls, umbrellas, sunbeds, restaurants etc. all fighting for a space on the beach. Bà Kèo (Long Beach) of Dương Đông. If you walk a little, there are still some quiet areas to find – they will likely be full of trash. Most tourism seems to be located around Bà Kèo. There are hostels and even some more reasonably-priced restaurants if you know where to look. There are also restaurants targeting rich Americans and Australians. Prices often start high, such as ₫100,000 for a simple breakfast menu (omelette with bun). In some cases, the menu is only shown in US dollars. Restaurant Local has decent prices and good food. 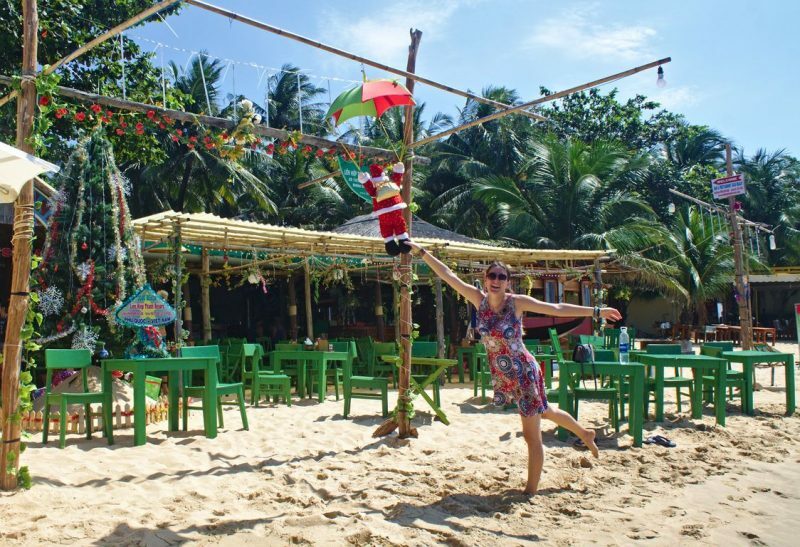 Phu Quoc Backpackers, neighbors of Restaurant Local. Lower quality but good prices. Heaven Restaurant has really good food. Prices slightly higher but cheap for Phú Quốc standards. Mondo Gelato: a very expensive place, actually. But, if you come on Mondays, Wednesdays or Fridays, you can get 2 pizzas for the price of 1. Just get a drink elsewhere. A bit further South, after you pass the airport, the whole coast is one giant building site. Very expensive resorts, hotels and villages with villas are being constructed here. It’s hard to find a way to get to the beach and they don’t have shops or restaurants here yet. Unfortunately, there is not much nature left to enjoy on this part of the island. Southwest beach of Phú Quốc, where many new resorts are under construction. This part seems to be scheduled for destruction for yet another resort to take over, but we were in time to enjoy the beach to ourselves before it’s all gone. Sao Beach. A relatively long drive but really worth it. White sand and clean, blue water and not many people around. A really great place to spend an afternoon. We were told several times to “go South” and we ended up on Sao Beach, the beach in the Southeast of the island. With clear blue water and white sand, this is definitely the most beautiful beach on the island. Like elsewhere, the restaurants claim part of the beach with their umbrellas and sun beds, but you don’t have to walk far to find a nice place to swim or lie down in the sand. If you want to spend some time here, do bring your own food. Prices here are extremely high and you’re unlikely to get a meal for under ₫200,000 – even a water costs ₫30,000. 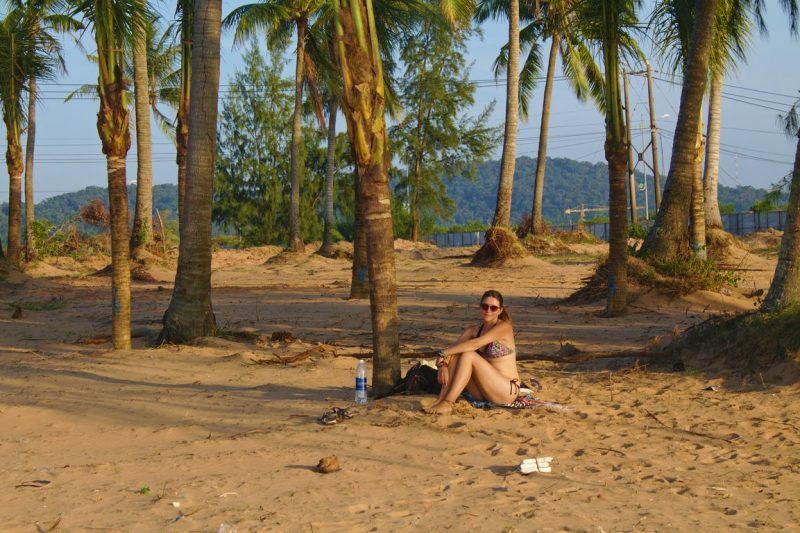 Ong Lang Beach. Clean, beautiful and empty. One of the best places to go on Phú Quốc. 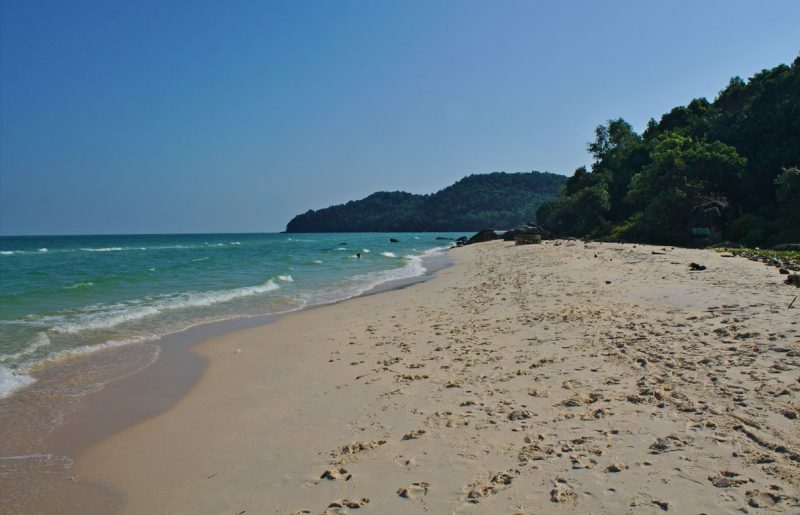 Ong Lang Beach is a mix of the other beaches: it looks like how Long Beach should be: clean beach, very few people, few resorts claiming all the beach. This is a perfect place to lay down in silence or go for a little swim. However, shade is hard to find. The nature looks a bit more untouched. This also means you probably won’t find shops or restaurants nearby, except for the resorts on the beach. We didn’t check them for prices but they look expensive. Here is the list of how much we exactly spent in 7 days on Phú Quốc. Note: to have your laundry done, the regular price is ₫15,000 per kilo. However, you pay extra to do it through the hotel. 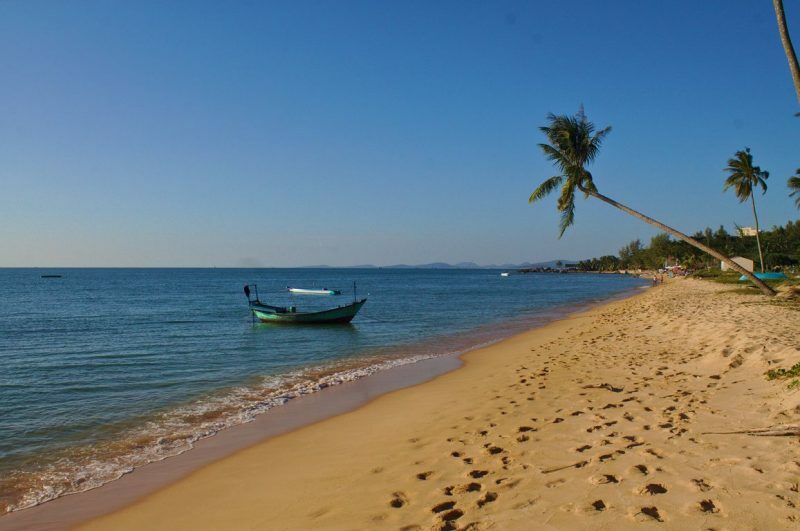 Phú Quốc is a green pearl in the Gulf of Thailand with peak season from November until March. We indulged in long beach days which ended with orange sparkling sunsets. Much of the beach is private, owned by resorts and hotels along the coast. You will have to go up to a random hotel/resort and simply walk through to reach the beach. They often don’t want you to stay on “their” beach but you’ll find nicer, quiet places if you keep walking. And if you walk far enough, there is a chance to find a secluded place, solely reserved for your thoughts. On the negative side, Phú Quốc is already an expensive destination that caters more to tourists from richer countries. Also, no visa is needed to visit, unlike the rest of Vietnam, making it easier for tourists from e.g. Australia or New Zealand to come for a short period to spend a lot of money. Judging by the construction going on all over the island, this will only get worse. The beach is all that counts – all other nature has to give way to new villas, hotels and resorts. 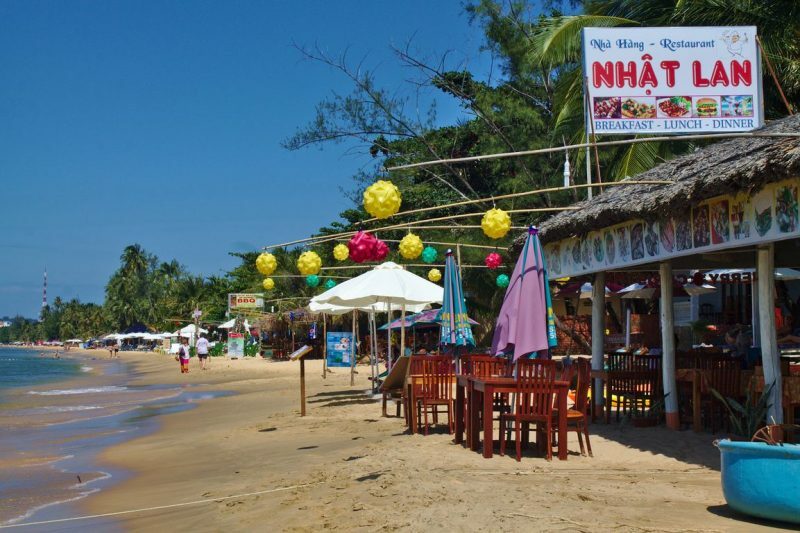 Whereas in other places ₫150,000 will be enough for a meal for two with drinks, often including a free tea and a free desert, this is not the case on Phú Quốc island. Don’t expect to get anything for free here. Many simple meals, such as some basic noodles, will quickly cost up to ₫90,000. It took us a lot of time driving around to find the right places to eat so initially, we were hungry often only to find menus with excessive prices – sometimes more expensive than in Europe. Despite not eating and drinking a lot, our daily expenses are much higher than usual, simply because everything is so expensive. It would have been possible to save on accommodation by sacrificing some luxury and we surely we could have found a cheaper motorbike. This time, we chose convenience over price. Is it worth to visit Phú Quốc? If you like good beer, beautiful nature or affordable travel: then no. 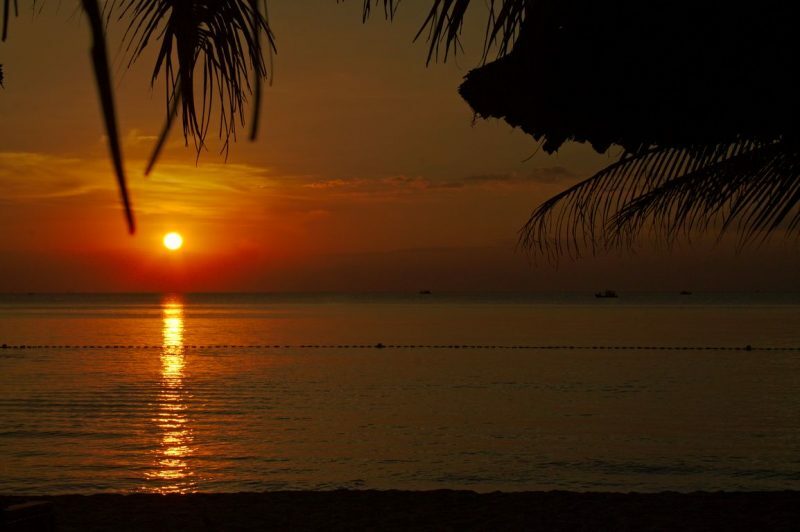 If you like sun, heat and beach: yes – but you’ll find much better and cheaper in Thailand, Indonesia and the Philippines. 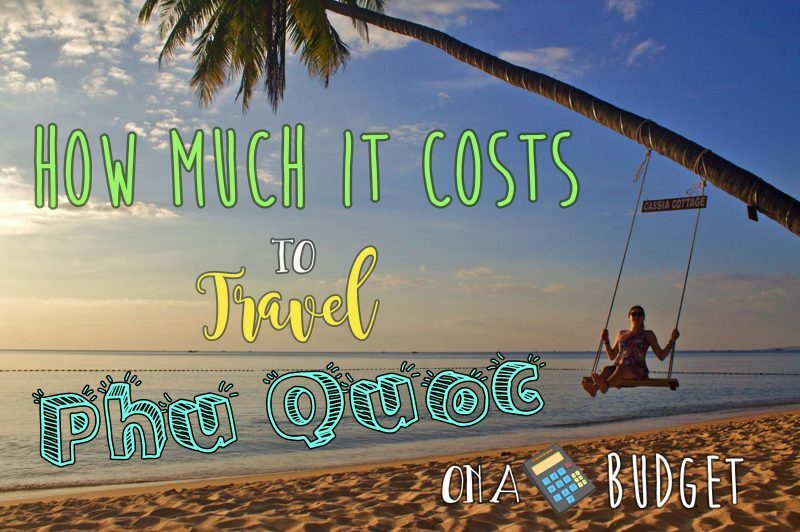 Travelling to Phu Quoc seems not cheap 😀 Anw, Thanks for sharing this awesome article!